SUNY New Paltz welcomed Ulster County Executive Mike Hein and County Legislator Hector Rodriguez (District No. 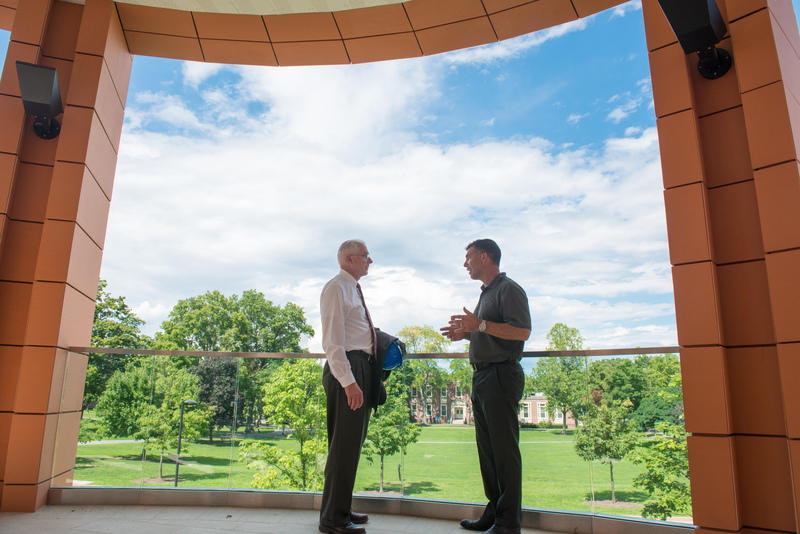 20, Town and Village of New Paltz) to campus this week for a walk-through of new and newly-renovated buildings with President Donald P. Christian and Director of Facilities Design & Construction John McEnrue. 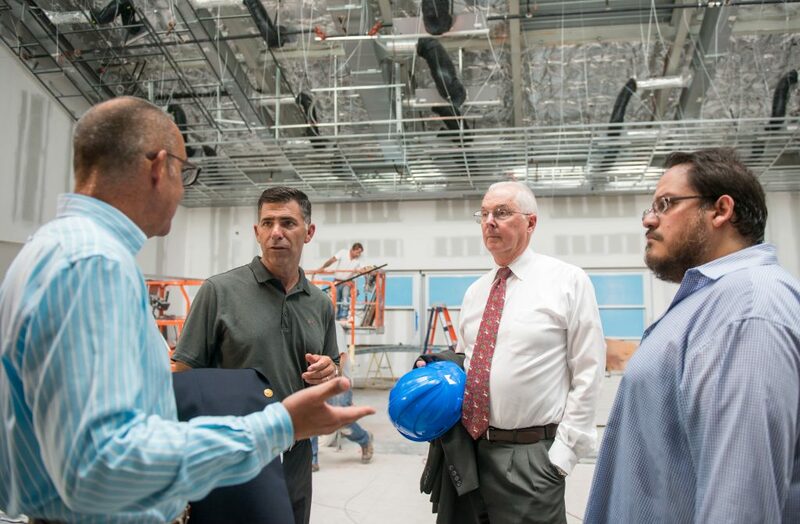 The group began by checking in on the progress of classroom and lab spaces in the new Science Building as it approaches its forecasted date of completion in early 2017, before moving on to see the outcomes of recent wholesale renovations to Wooster Hall and the Sojourner Truth Library. During the pass through Wooster Hall, the visitors saw first-hand why so many SUNY New Paltz community members anticipate that the new building, which houses academic departments and labs, student service offices and a café within a spacious, energy-efficient structure, will soon come to serve as a central hub for student activity beginning this fall. This process has already begun at Sojourner Truth Library, where the Main Level study area was overhauled to better accommodate students while taking fuller advantage of the building’s vistas of the famous Shawangunk Ridge.